A single-page website for a singular restaurant. 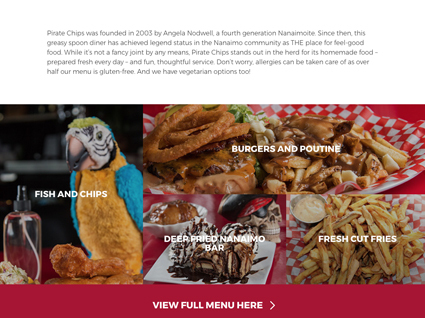 Found in 2003, Pirate Chips in Nanaimo creates scratch-made comfort food that isn’t afraid to get a little weird. 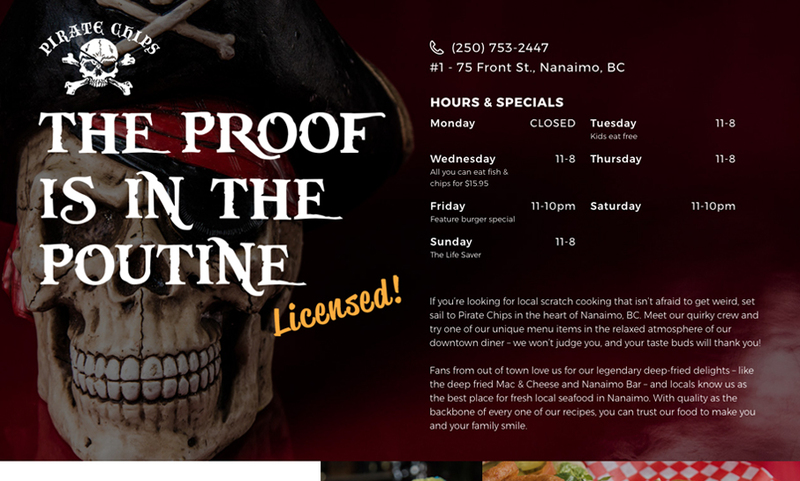 Although it has a strong reputation with locals, Pirate Chips wanted a website to help them further promote their business. Our team will get back to you ASAP about what budget a project like Pirate Chips requires.